We’d love your help. Let us know what’s wrong with this preview of The Value Creating Consultant by Ron A. Carucci. 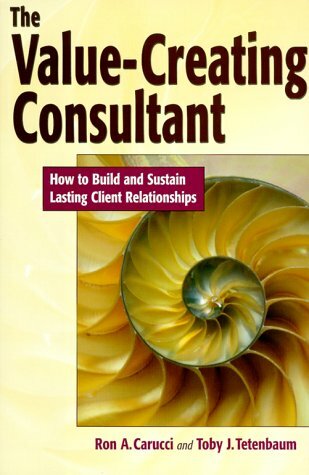 This guide shows consultants how to create value for clients and become their consultant of choice. Many consultants have fallen into habits and behaviours that give the profession a bad name. This book shows how to develop behaviours that win clients' loyalty and respect. To ask other readers questions about The Value Creating Consultant, please sign up. Interesting insights with an emphasis on building up and maintaining client relationship. It's easy to read. I wish there were more examples like specific cases about their engagements with clients.